Ships tomorrow if you order in the next 20 hours 36 minutes. 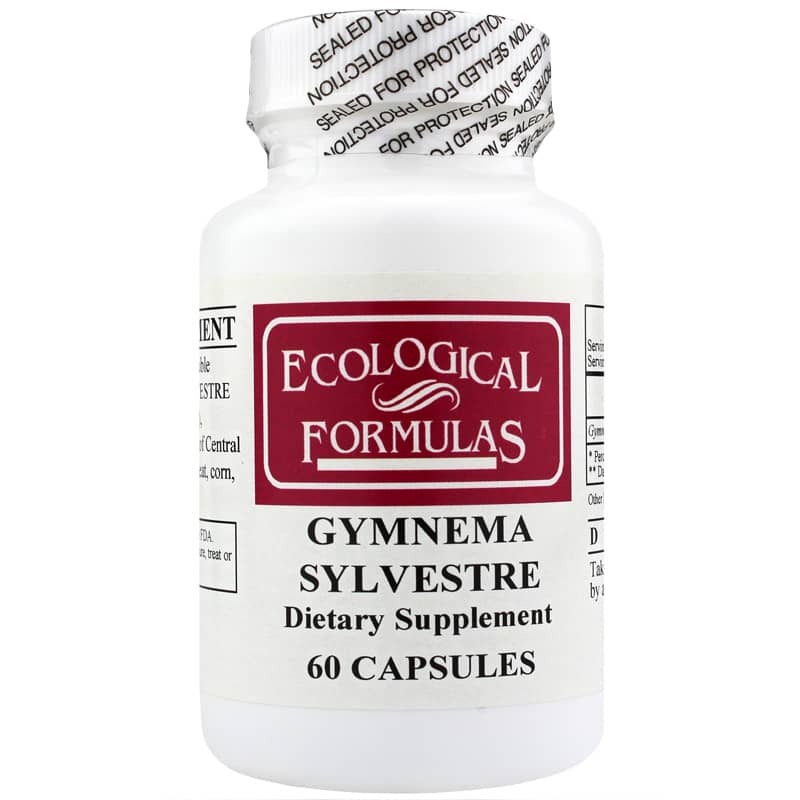 Gymnema Sylvestre from Ecological Formulas contains a water-soluble derivative of Gymnema Sylvestre leaves (including GS-3 and GS-4), indigenous to the tropical forests of Central India. 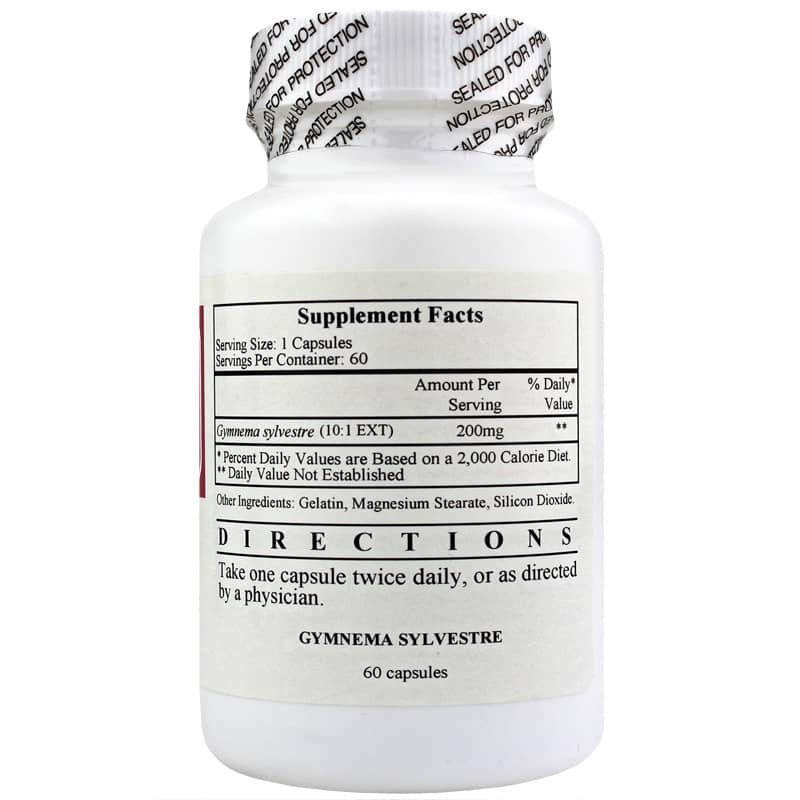 Gymnema Sylvestre is a standardized extract of 10:1. 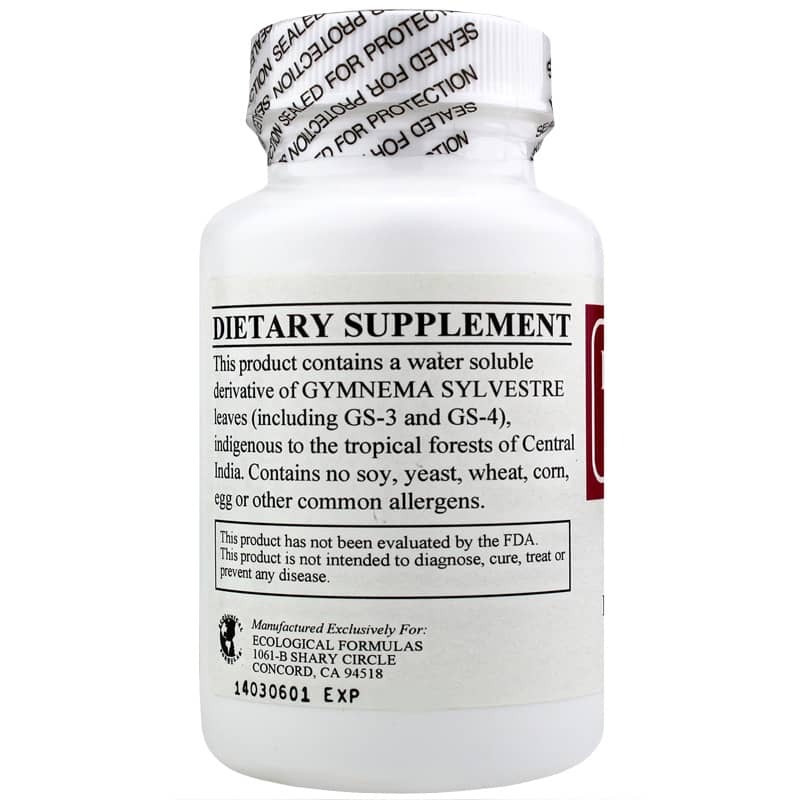 Contains NO: soy, yeast, wheat, corn, egg or other common allergens. Adults: Take 1 capsule twice daily or as directed by a physician.